In addition to immaculately manicured greens, every golf course needs hazards to boost the challenge of each hole. Western Materials offers the highest-quality golf course sand for both bunkers and top-dressing sand maintenance. When it comes to building and maintaining a golf course, there’s a lot of very specific work to be done. It’s not a type of job where you skimp on materials. Golf courses have to accommodate playability, stand the test of time, and generally provide very smooth and refined surfaces. 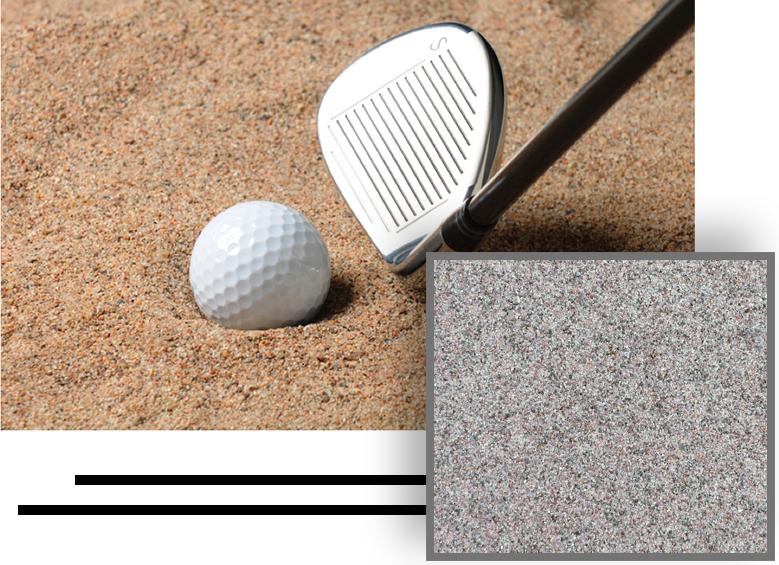 As a golf course sand supplier, our sand is second to none and meets the stringent USGA standards and specifications. Most people often think the only sand on a golf course is in each bunker, but that’s not true. At Western Materials we provide golf course sand that is perfect for bunkers, top dressing soil, capping, and divots. Our divot sand is a special combination of sand and grass seed that improves turf recovery after your course grass is ruined by poor golf swings and careless cart drivers. Our top-dressing sand helps you provide well-engineered fairways and putting greens that experienced golfers demand of their favorite courses. We combine all of this with the excellent customer service that project managers have come to expect from the best golf course sand and supply vendors. Our customers are more than just names and numbers — we go the extra mile to provide the kinds of results that customers need to really achieve success in a very demanding type of role. Implementing golf course design is a high-pressure job that takes a lot of hard work, and we strive to support those who are responsible for furnishing these precise results. If you need replacement golf course sand, or sand for a new course or hole, in the Los Angeles area, contact Western Materials now. Call us at 888-944-9994 or fill out our CONTACT FORM to learn more about how we can help you keep your golf course looking perfect each and every day. Drainage is also important. By understanding the amount of runoff that happens in a given area, and how well different sands will handle water over time, we assist in building golf courses that last and don’t require as much maintenance.